What is it: Pay it Foodward™ is our new initiative to provide prepared meals for families in our immediate area (Suffolk County NY) suffering through a recent hardship such as the loss of a close loved one, severe illness or recent job loss. As this represents our initial test of the idea, we are limiting the scope of the program to the immediate area around where the foundation is located for right now. Our goal is to expand nationally with a website that will allow individuals to coordinate meal preparation for others and/or pay for food delivery from an authorized partner of the program. We hope to do this by building a brand-new website that will utilize an easy to use interface enabling others to pitch in by making/buying meals or donating money. Additionally, we are looking to add the option of a pre-paid Pay It Foodward™ debit card that those wishing to help can donate money towards. 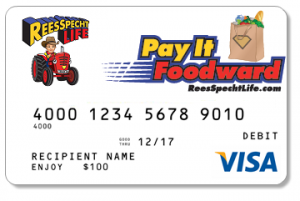 Once filled, the family in need can use the card at their discretion to purchase meals/food and sundries. We hope to partner with major retail outlets and supermarket chains to get them to offer a discount to anyone using the card so that the donations are stretched even further. 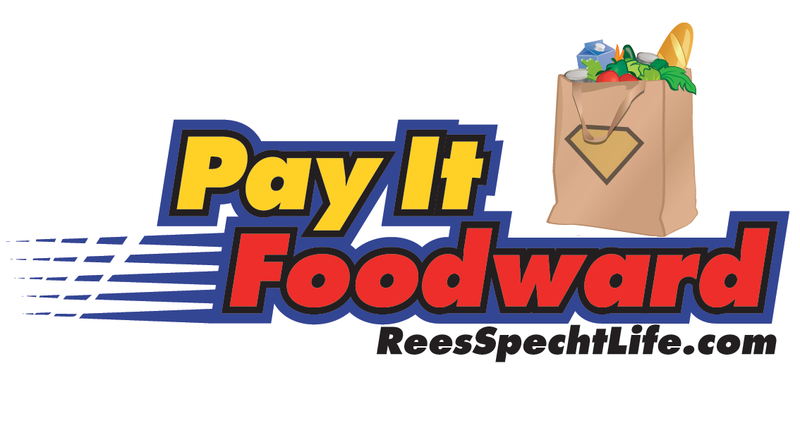 When does it start: Pay it Foodward™ is a work in progress that will have multiple phases of implementation. For Phase One the ReesSpecht Life Foundation will be doing a “proof of concept” by offering several week’s worth of dinners to local, Suffolk County NY, families. This test roll-out begins 2/17/16 in the Suffolk County area of New York State. I know a family in Suffolk that could benefit: If you know of a family that meets the criteria stated above (currently resides in Suffolk county NY and has suffered a recent hardship) and you wish to nominate them for several weeks’s worth of pre-made dinners provided by (but not prepared by) the ReesSpecht Life Foundation you can do so by filling out the following form (HERE) and mailing it to the ReesSpecht Life Foundation at the address listed. Additionally, you can electronically fill out the form by clicking on the “Fill out Online” tab below.